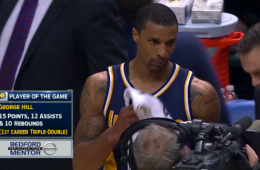 Indiana native George Hill had his first career triple-double with 15 points, 12 assists and 10 rebounds in the Pacers' 93-86 win over the visiting Cavs. 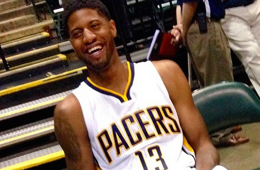 Wearing the #13, Paul George returned to practice with the Indiana Pacers just 8 months after suffering a compound fracture of both bones in his lower right leg. 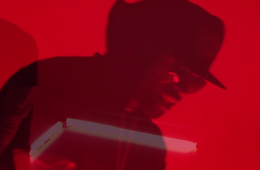 Stephen Jackson aka Stak5 and Marquis Daniels aka Lambo 6 recently used their free time to drop a hip-hop track titled "Boolin." 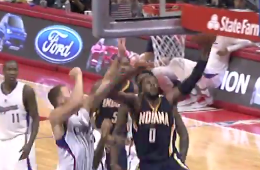 Indiana Pacers CJ Miles takes a page out of Blake Griffin's book and then uses it to dunk on him. 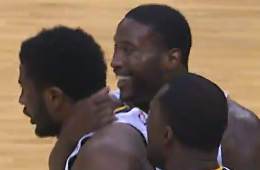 In a wild finish, Solomon Hill spoiled the return of Lance Stephenson by beating the visiting Charlotte Hornets 86-88 with a tip in at the buzzer. 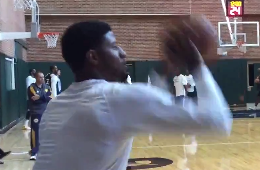 Less than three months removed from breaking his leg, Paul George is already back in the gym shooting with his team after practice. 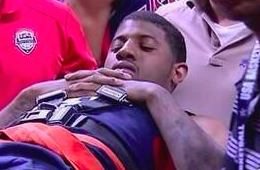 Paul George says he might be able to make it back for the playoffs if his team gets to the postseason. 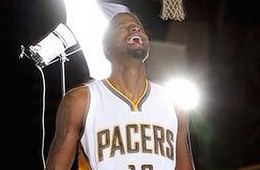 Forget about finally being able to call Paul George PG-13, let's just call him Wolverine. 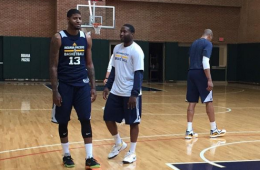 This is what it looks like when Robert Mathis and Paul George get season ending injuries and have to wear identical boot casts Indiana. 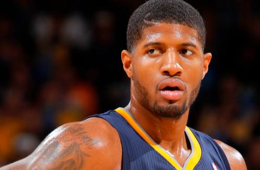 Paul George became a trending topic for all the wrong reasons after defending NFL castaway Ray Rice who was caught on video violently striking his now wife. 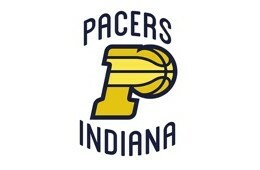 Graphic designer Leni from San Lorenzo, Argentina redesigned the logo for the Indiana Pacers in a personal project with a serif look. 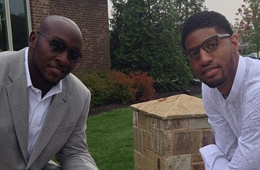 It was all fun and games in the Team USA Blue vs White showcase. 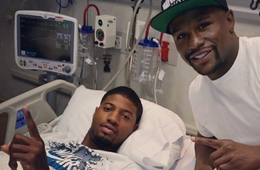 Then Paul George suffered a broken leg that will sideline him for the entire NBA season. 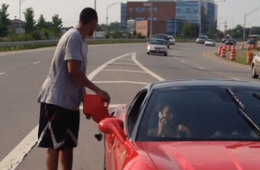 The gas struggle is real for even Evan Turner and his Ferrari.